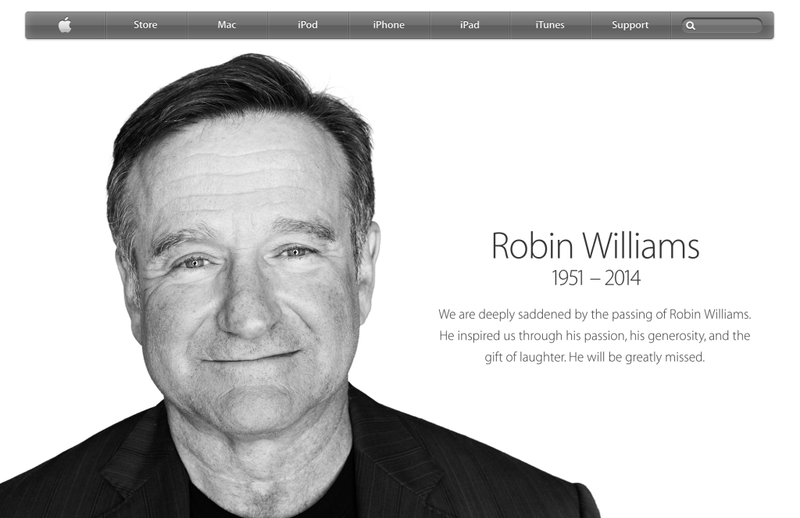 Apple recently honored Robin Williams on their website, to mourn the late actor’s death. Many asked why he, of all celebrity deaths, deserved one of the few memorial slots they dole out. I’ve discovered a few reasons that I hope will answer your question. His death came during the prime of his career, and was a tragic end for someone who had brightened so many lives. Tragedies like these are often the ones that receive the most attention. Apple’s latest big marketing campaign, “What will your verse be?” centers around a voiceover performed by Robin Williams. 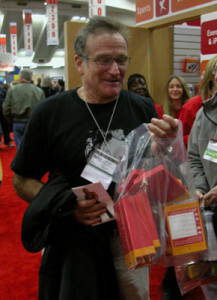 Robin Williams’s vocal talents are critical to the ad, so he had a material role in working with Apple, and thus has a real connection to the company. Robin Williams was a vocal fan of Apple products for years and years. In addition to just owning Apple products, he was a frequent attendee of Macworld – a conference that was once the center of Apple Fandom. Basically, Robin Williams was, in addition to being a great actor a fan of Apple, and Apple was a fan of Robin Williams. They did business together (think of how many times Mrs. Doubtfire has been rented on iTunes), and in return, Apple decided to show some respect for him.